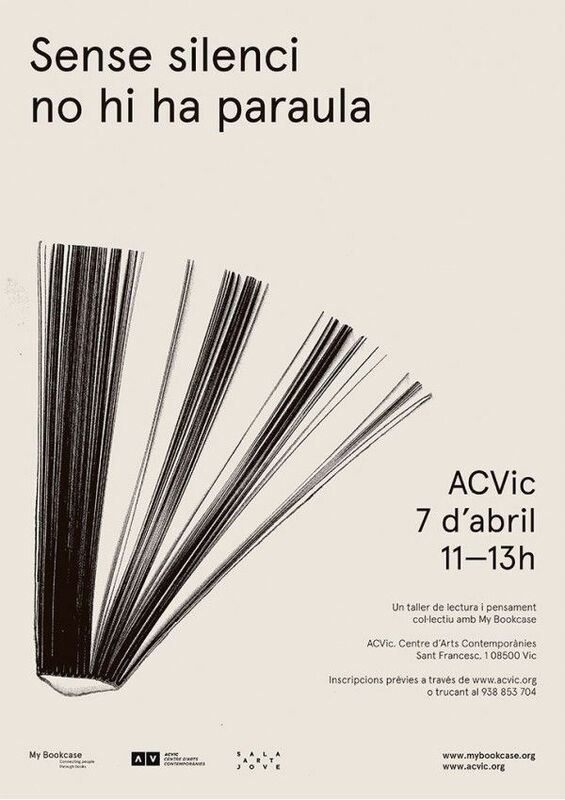 The workshop will take place at ACVic, Centre d’Arts Contemporànies [Sant Francesc, 1. 08500 Vic]. Booking ends Friday, 6th April. Please note that places are limited, and will be allocated on a first come, first served basis. ACVic reserves the right to cancel the course, should the number of bookings fall below minimum. Silence may be expressed in different ways, among these, in the act of listening. Listening is being in silence, an emptiness of reflective, repeated thoughts. Only from this state of interior silence, as opposed to the constant noise of our minds, can we mobilise new words and thoughts. Without silence, there are no words is a workshop which takes a listening approach to the concept of silence. 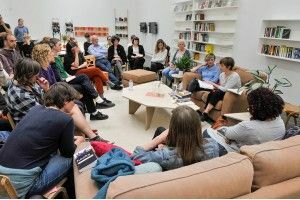 Based on a visit to the SILENCE/S exhibition at ACVic, and also upon the reading of a text, a group investigation of the experience of silence is proposed, through conversation. Using the Socratic Dialogue as a methodology, participants initiate a conversation, with the aim of participating in a brainstormed creation at a specific moment in the present, as part of a group. Without silence, there are no words forms part of the “El taller del lector” project, with My Bookcase, supported by the Sala d'Art Jove. My Bookcase is an initiative which explores books as tools of social and cultural exchange, offering readers a creative and plural space for converting the individual knowledge acquired from private readings into a collective experience.